FOX Sports Midwest will televise all six 11-man football championship games live from the Missouri high school football championships – the MSHSAA Show-Me Bowl – on Thanksgiving Weekend. The Class 1, 3 and 5 championships will air on FOX Sports Midwest and FOX Sports Kansas City on Friday, Nov. 23. In addition, the 8-Man championship on Friday, Nov. 23 will be streamed live on FOXSportsMidwest.com. The Class 2, 4 and 6 championships will air on FOX Sports Plus, due to overlap with other programming commitments, on Saturday, Nov. 24. Channel numbers for Saturday’s games on FOX Sports Plus are listed below. A complete schedule and announcer lineup is below. All games will be played at the Edward Jones Dome in St. Louis. FOX Sports Midwest’s coverage of the championships is presented by the Bommarito Automotive FOX Sports Prep Zone. Show-Me Bowl games will also air live nationally on FOX College Sports. The telecasts will be produced by Niles Media Group, in partnership with Play On Sports. FOX Sports Midwest has been the home of MSHSAA championships since 1998. From 1998-2006, FOX Sports Midwest televised the large schools championship game on Thanksgiving Friday. From 2007-2009, three Friday championship games aired on FOX Sports Midwest. Starting in 2010 all 11-man championship games have been televised. FOX Sports Midwest expanded its coverage this year in the Bommarito Automotive Prep Zone, with 54 games streaming live at FOXSportsMidwest.com and a Saturday morning game of the week on TV. In addition, MSHSAA championship events in all other sports are streamed throughout the year on FOXSportsMidwest.com. And the MSHSAA Show-Me Showdown basketball championships will be televised on FOX Sports Midwest in March. 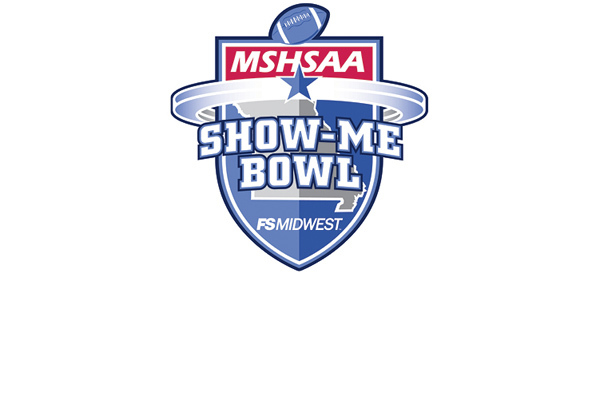 The Class 1, 3 and 5 championship games on Friday, Nov. 23 will air live on FOX Sports Midwest and FOX Sports Kansas City in Missouri, Illinois and Kansas City. They’ll also air live nationally on FOX College Sports Central. The Class 2, 4 and 6 championship games on Saturday, Nov. 24 will air live on FOX Sports Plus, a channel used by FOX Sports Midwest to simultaneously show multiple events on two channels. FOX Sports Plus is available to all video providers that carry FOX Sports Midwest or FOX Sports Kansas City. Some providers carry FOX Sports Plus as a 24-hour full-time channel. Others choose to offer selected FOX Sports Plus programming and designate a channel to show the events. For an updated list of channel numbers visit FOXSportsMidwest.com or MSHSAA.org. Fans with questions should e-mail midwest@foxsports.net.